Savvy Spending: Enter the Old Navy Instant Happy Sweepstakes for a chance to win 100,000! Enter the Old Navy Instant Happy Sweepstakes for a chance to win 100,000! 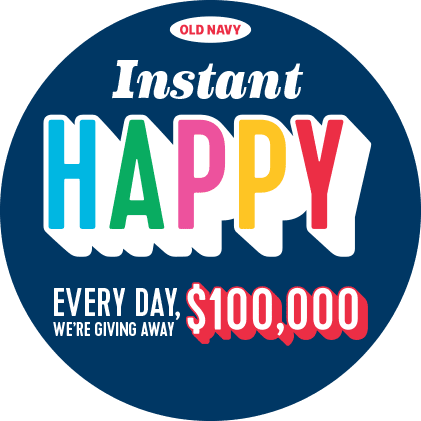 Now through November 25th, you can enter the Old Navy Instant Happy 2016 Sweepstakes for a chance to win one of 8 Grand Prizes of a $100,000 check! You can enter daily! Good luck!